When taking a backup with Veeam Backup & Replication, a VM snapshot is created to get a consistent state of the VM. The snapshot is taken prior the backup, and it is removed after the successful backup of the VM. The snapshot grows during its lifetime, and you should keep in mind, that you need some free space in the datastore for snapshots. This can be a problem, especially in case of multiple VM backups at a time, and if the VMs share the same datastore. If your underlying storage supports the creation of storage snapshots, Veeam offers an additional way to create a consistent state of the VMs. In this case, a storage snapshot is taken, which is presented to the backup proxy, and is then used to backup the data. As you can see: No VM snapshot is taken. Now one more thing: If you have a replication or synchronous mirror between two storage systems, Veeam can do this operation on the secondary array. This is pretty cool, because it takes load from you primary storage! Last week I was able to try something new: Backup from a secondary HPE 3PAR StoreServ array. 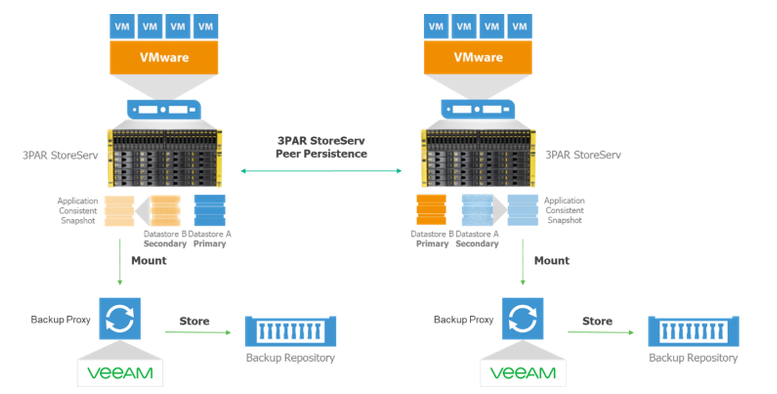 A customer has two HPE 3PAR StoreServ 8200 in a Peer Persistence setup, a HPE StoreOnce, and a physical Veeam backup server, which also acts as Veeam proxy. Everything is attached to a pretty nice 16 Gb dual Fabric SAN. The customer uses Veeam Backup & Replication 9.5 U3a. The data was taken from the secondary 3PAR StoreServ and it was pushed via FC into a Catalyst Store on a StoreOnce. Using the Catalyst API allows my customer to use Synthetic Full backups, because the creation is offloaded to StoreOnce. This setup is dramatically faster and better than the prior solution based on MicroFocus Data Protector. Okay, this last backup solution was designed to another time with other priorities and requirements. it was a perfect fit at the time it was designed. This blog post from Veeam pointed me to this new feature: Backup from a secondary HPE 3PAR StoreServ array. Until I found this post, it was planned to use “traditional” storage snapshots, taken from the primary 3PAR StoreServ. With this feature enabled, Veeam takes the snapshot on the 3PAR StoreServ, that is hosting the synchronous mirrored virtual volume. This graphic was created by Veeam and shows the backup workflow. My tests showed, that it’s blazing fast, pretty easy to setup, and it takes unnecessary load from the primary storage. 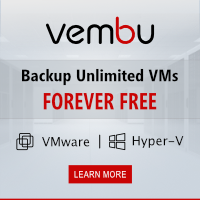 To enable this feature, you have to add a single registry value on the Veeam backup server, and afterwards restart the Veeam Backup Server service. Thanks to Pierre-Francois from Veeam for sharing his knowledge with the community. 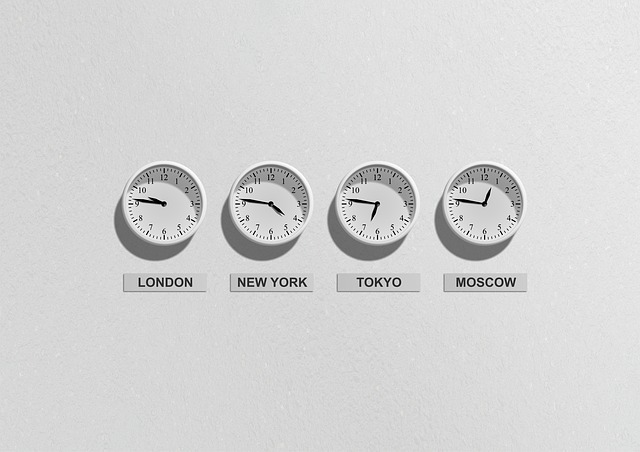 Read his blog post Backup from a secondary HPE 3PAR StoreServ array for additional information. 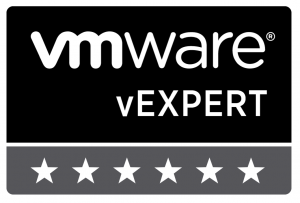 This entry was posted in Backup, Software, Storage and tagged 3par, backup, backup & replication, hpe, storage, storeonce, veeam, vExpert, vmware on July 28, 2018 by Patrick Terlisten.